These have been around the longest and one of my favorite ways to interact with fellow RVers. Usually the forum is broken down in to many subcategories. Say you want to only read about Fifth Wheels, you can select that group and the discussions will only revolve around that topic. Most of the forums have a built-in search function allowing you to search the topics and discussions. This is tremendously valuable for gathering information. 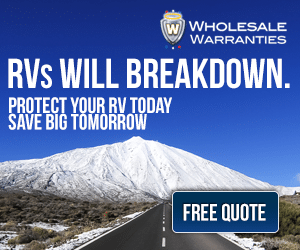 Say your campers hot water heater isn’t working, a quick search for your problem likely yields many conversations (called threads) having to do with broken hot water heaters and likely solutions. 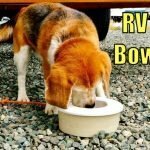 Here are the best forums I’ve found on the web for RVers: RV.Net RV-Dreams IRV2 RV Forum and specific to my rig is the Keystone RV Forum. A quick Google search will likely turn up a forum for yours. Facebook is huge with around a billion members. It seems most of my family and friends are on it and is the best way to stay in touch with people back home while on my RV adventures. An interesting evolution of Facebook is new ability for people and companies to create pages. 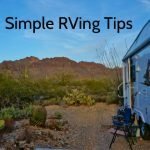 If you go to Facebook and do a search and select search for a page there is a wealth of information and community to do with RVing. If you find an interesting page and “like” it then posts from that page will appear in your Facebook feed. I find most of the National Parks have pages now and many campgrounds have come on board. Many times their Facebook pages have better and more current information than the official websites do. Also users will post photos and opinions right to the page enhancing the dialogue. Companies usually have a Facebook page too. Visiting their page is a great way to communicate about an issue your having with their product or to get information on new products. It’s easy to ignore you on email but harder to do so in a public forum. 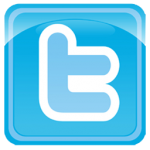 Twitter is great for RVers on the move. I find it most useful on my mobile devices because the tweets are limited to 140 characters and ideal for the small screens. It’s a great way to stay in touch in real-time with people your following and have valuable information pushed to you. Many of the National and State Parks use twitter now to announce special events, promotions or weather alerts. Tweets now include photos and videos. I follow many of the National Park steams and love to see the photos tweeted real-time of the park. This winter while down south I’ve enjoyed the winter scenes in @YosemiteNPS and @YellowstoneNPS. I also use Twitter to follow the adventures of fellow RV travelers and see what things they are up to and tweet out what I’m doing and seeing. It’s a great way to connect. 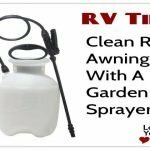 If you would like to follow me my handle is @LoveYourRV. A recent player to the social network game but growing quickly is Google+ . Although you don’t find as many friends and family on it like Facebook I believe it is an outstanding platform for discovering people with a passion for something and share it with them. It is super easy to discuss, post photos, videos, links, etc. The newest feature is really exciting. It is called Communities. You can search for and find communities of people who are interested in a subject. For example I belong to National Parks and California & Western US Landscapes. Everyday there are dozens of new photos posted in these communities for me to admire and comment on. Also Google Plus has a feature called circles where you can divide who you follow in to different circles. 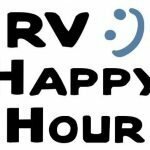 So I have an RV related circle and if I want to share something about RVing I can target only that group, not everyone following me on Google Plus. 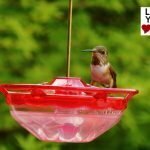 If you want to give G+ a whirl you can find my Love Your RV community there, come join us! Do you like to look at photos? If yes then Pinterest is the place for you. Sometimes I can get lost for hours surfing around looking at all the interesting things folks have pinned to their boards. I think it is so popular because it’s so simple to use. You create boards, like a pin-up board in real life. Then add photos, ones you upload or photos you see on the web. Others are out there doing the same thing , creating boards and pinning photos to them. When you find an especially interesting collection you can follow that pinner and other pinners can follow your collections. All the photos can be “liked” or commented on and re-shared off one board and on to another. Click here to see and follow my Pinterest boards. 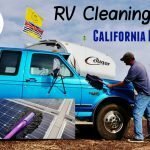 Those are the main social media technologies I use to enhance my RVing experience and to connect with my fellow RV Travelers. There are many, many more but since this is a simple guide I don’t want to get to bogged down discussing every one out there. 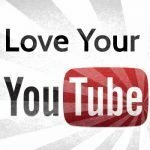 Several others I use and you may wish to explore are YouTube, StumbleUpon, and Reddit. 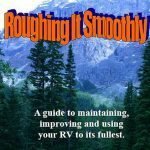 Hopefully this has helped RVers who are a little intimidated by all the Social Media jargon to better understand the options available. You’ll find my share icons below and may have a better idea what they are there for.